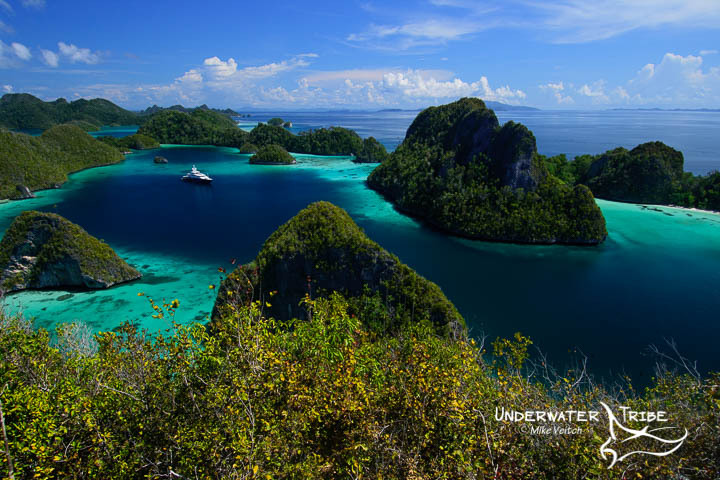 Although most of our “Story Behind the Shot” images are typically underwater photos, I have chosen this image from Wayag, Raja Ampat, Indonesia as it’s such an iconic photo from this area. 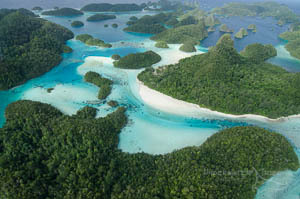 The island group of Wayag is a located in the far NW quadrant of Raja Ampat and it’s famous for it’s beautiful vistas. Measuring only a few miles from east to west and less than a mile from north to south, this incredible little archipelago consists of hundreds of small karst islets which have been carved into mushroom shapes over the millennia. Although this photo looks incredible, it’s quite an easy shot to take (other than the journey to get all the way to Wayag!) There is a rocky path that leads up one of the hills inside the lagoon that offers a fantastic 360 degree view all around the archipelago and beyond. Although the common perception would be to take this photo with the late afternoon “magic hour” lighting behind the photographer, it doesn’t actually work too well because the low light coming from behind tends to blow out the sky on the horizon. Instead, the best time to take photos here is between 10am – 2pm while utilising the magic of a circular polariser. 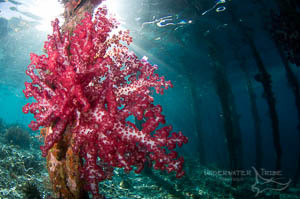 Even better, is if the low tide coincides with the timing, as this allows the camera to capture the beautiful greens of the sand and reefs that offsets the royal blue of the deeper water. The high overhead light during this time really allows all of the colours to pop.